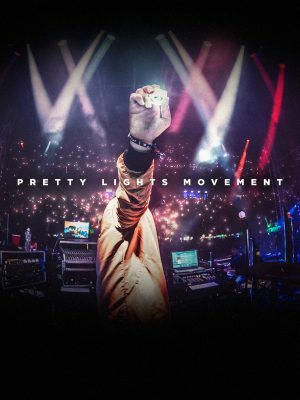 Team PL has decided that the time is now to evolve the direction and purpose of Pretty Lights Music the record label. The amount of inspired young producers & artists that have emerged from within the community surrounding PL friends & family is staggering. We’ve been brainstorming on new ways to weave together this collective of people, music, and art. We believe the answer lies in shifting PLM from a record label to a social platform based on collaboration and inclusion. 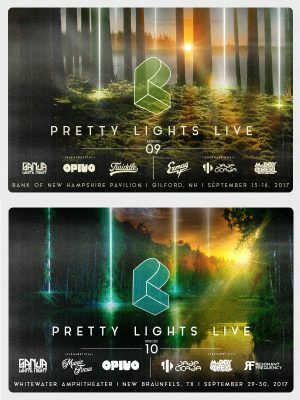 Moving forward, we desire to progressively bring this community together and expand it thru the movement that Pretty Lights began. Whether it’s Sirius XM Hot Sh*t guest mixes, remix projects for new PL music, #PLpix, #PLflips, #PLart, music releases from producers in the community and anything else that that we feel can inspire those around us and facilitate community collaboration… we will be supporting it all here and across PLM social platforms. Be sure to tune in here for the #PLMovement. 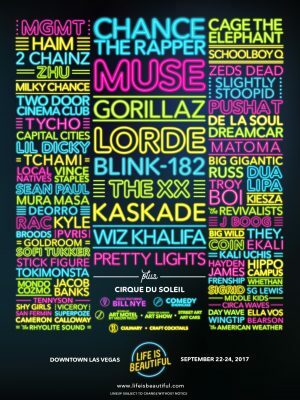 Pretty Lights Live will perform at Moonrise Festival in Baltimore, MD on Sunday August 13th. We are excited to reveal two more stops for the Episodic Tour. On September 15th and 16th, we return to the Bank of New Hampshire Pavilion in Gilford, NH where we first debuted the Episodic series last summer. We’ll then continue on to Texas, with two nights at the Whitewater Amphitheater in New Braunfels on September 29th and 30th. These newly announced shows, Episodes 09 and 10, will close out Season 2 of the Episodic Tour. 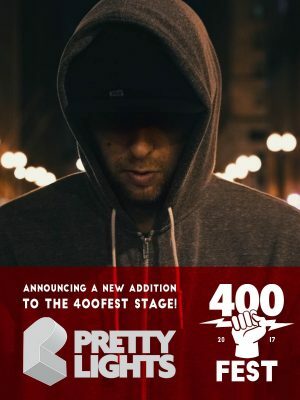 Pretty Lights will perform a solo set at 400 Fest in Indianapolis, IN on Saturday July 22nd at the Indianapolis Motor Speedway. We are pleased to announce the latest installments of our Episodic Festival. 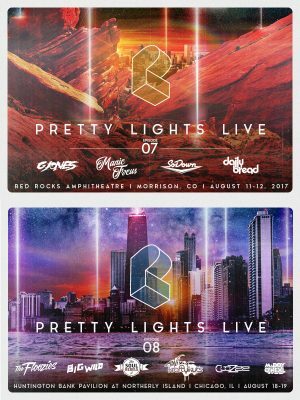 Pretty Lights will perform with the live band at Red Rocks Amphitheatre in Morrison, CO on August 11th-12th for Episode 07. The following weekend sees us at Huntington Bank Pavilion at Northerly Island in Chicago, IL on August 18th-19th for Episode 08. 2-Day General Admission Tickets, VIP, Red Rocks Travel Packages, and lodging options (via CID Entertainment and Curadora) are on sale now. 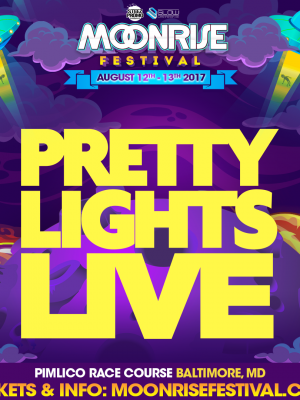 Pretty Lights will perform with the live band at Life is Beautiful, taking place in Las Vegas, NV September 24th.